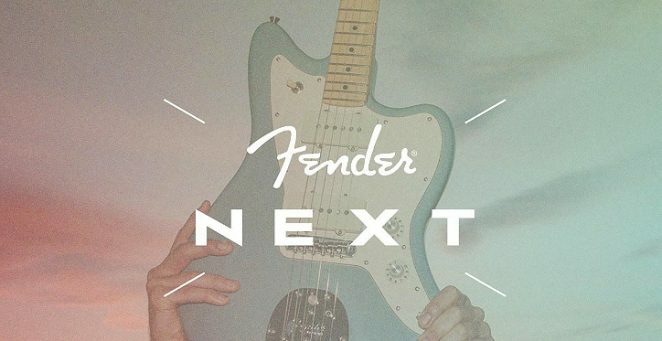 HOLLYWOOD, CALIF. (February 28, 2019)—Fender Musical Instruments Corporation (FMIC) today announced the inaugural launch of a new annual global artist marketing program, Fender Next, geared toward elevating artists that represent the new face of guitar in fresh, innovative ways. The first of its kind for Fender and the musical instruments industry, the program aims to support a diverse set of artists; the goal is to amplify their voices as they evolve throughout their respective careers. Since 1946, Fender has been serving players at every stage of their musical journey, and the Fender Next program is the newest iteration of its continued investment in that core belief. 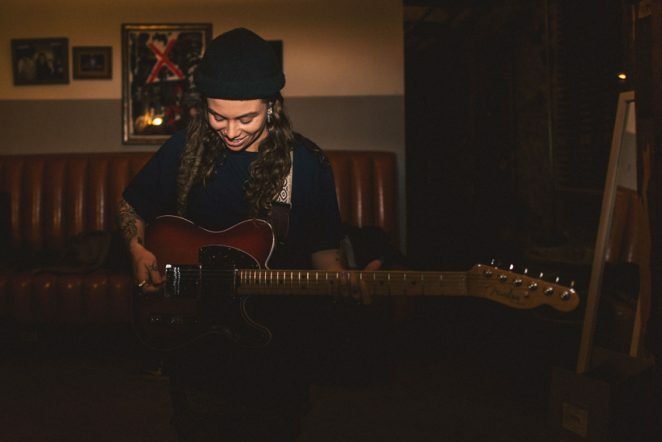 In addition to providing global performance opportunities and Fender product, Fender Next artists – such as Melanie Faye, Cautious Clay, Tash Sultana and Sam Fender – will be featured across Fender content from editorial to social, telling their individual stories as they progress through their creative journey. This will be the first year in what Fender plans to be a long-term, ongoing commitment to support today and tomorrow’s artists. With plans to expand global reach even further in 2020, a new lineup of Fender Next artists will be chosen through a submission process each year. In 2019, Fender Next will illuminate 50 (28 North American artists – 26 American, 2 Canadian – and 22 international) of the most exciting new artists from around the world representing the diverse state of music globally. Artists were selected via a submission process; they include: Ashley McBryde (USA), Boy Pablo (Norway), Tash Sultana (Australia), Cautious Clay (USA), FKJ (France), FIDLAR (USA), Japanese Breakfast (USA), King Princess (USA), Larkin Poe (USA), Melanie Faye (USA), Phoebe Bridgers (USA), Sam Fender (UK), Last Dinosaurs (Australia), King Gnu(Japan), HYUKOH (Korea), and others. Fender Next artists will be the cornerstone of Fender events worldwide, and on March 14-15, 2019, Fender will kick off the program with a unique interactive pop-up experience at SXSW in Austin, Texas: The Fender Next House. Here, fans will have the chance to attend thought leadership discussions and intimate concerts featuring Fender Next artists, pick up a guitar and try Fender Play at demo stations, and more. There will also be guitar techs on site to assist with set ups for all artists in the Fender family. Only Fender gear will be accepted for set ups on a first-come-first-served basis at the Fender Next House. In addition to SXSW, Fender Next will also activate at The Great Escape Festival in the UK for the second year this May, as well as other global music festivals in Japan and Australia through 2020. Activations will feature a mix of rotating daytime programming and nighttime concerts, as well as meetups with industry personnel to help artists foster meaningful relationships. Fender is also teaming up with Lucky Brand as an event sponsor to show the leading denim brand’s commitment to artists in the Fender Next program. The storied Los Angeles denim brand will create custom merch for Fender Next artists at SXSW. The brands also collaborated on a custom photo booth for fans to enjoy and snap the perfect picture. Both Lucky and Fender uphold high standards of craftsmanship, pouring care and passion into every detail of their clothing and instruments in order to tell a story that celebrates artists and their individuality. For additional information on Fender Next, Fender products or to find a retail partner near you, visit www.fender.com. Join the conversation on social media by following @Fender. FROM THE JAM features Bruce Foxton from the original line-up of The Jam. The words legend and icon are sometimes used too frequently these days, but not when being used to describe Bruce Foxton. Recently voted by NME readers as the 7th Most Influential Bass Player, shows the high regard he is held in. 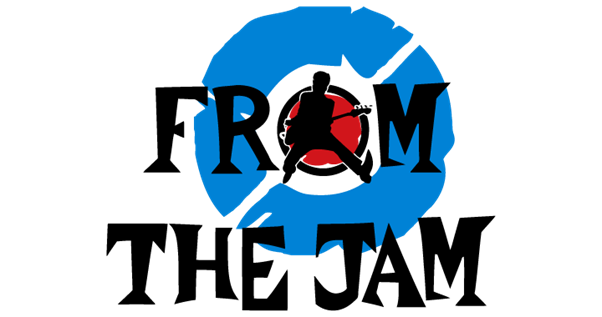 Since their inception in 2007 From The Jam have played over 1,000 live shows and gained a reputation for capturing the energy and excitement of live performances that sealed the reputation of The Jam all those years ago and are “as close to The Jam as you will get”. FROM THE JAM bring back some great memories and always deliver a cracking night out with a great atmosphere. All your favourite Jam tunes are included in the set – Down In The Tube Station At Midnight, Going Underground, Town Called Malice, In the City, Start!, David Watts, Funeral Pyre, That’s Entertainment, Eton Rifles and loads more. 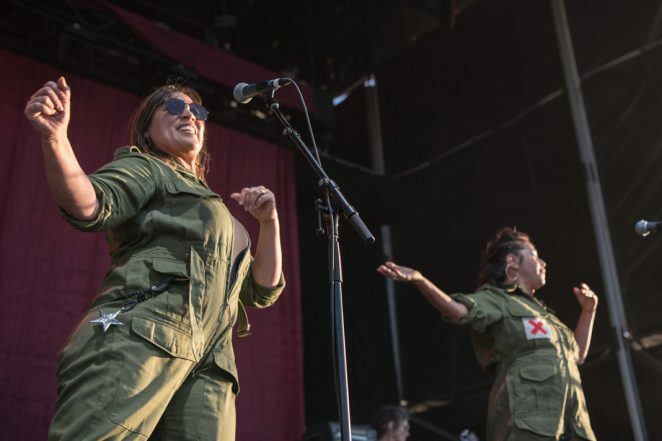 INDIGENOUS MUSIC TO ROCK THE MAIN STAGES AT BLUESFEST 2019! 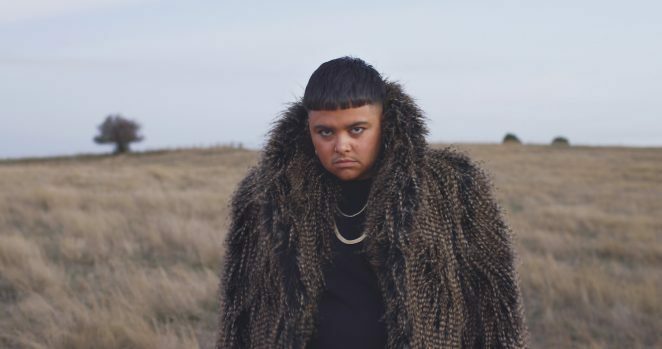 From folk to hip-hop and timeless classics, the Indigenous music circuit is incredibly strong right now. We are thrilled to announce that we have eight fantastic Indigenous acts performing at Bluesfest along with Boomerang Festival this Easter long weekend. 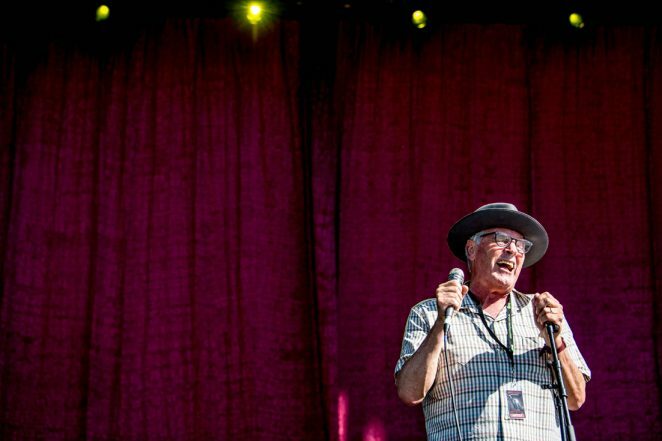 Commenting on the announcement, Festival Director, Peter Noble OAM said “We have had the honour of being able to give some pretty big Indigenous musicians a slot on the Bluesfest stages over the years. Our Indigenous festival within Bluesfest – Boomerang Festival is being called ‘A line-up of the Best Indigenous Artists’ by some and we are extremely proud to announce that Baker Boy, Yothu Yindi and the Treaty Project, Archie Roach, Mission Songs Project, Mojo Juju, Benny Walker, Dallas Woods and the Brotherhood of the Blues will all rock the house across our stages at Bluesfest this Easter. The Melbourne Guitar Festival 2019 classical guitar concert series kicks off at 7pm on March 9, at Wyselaskie Auditorium, 29 College Crescent Parkville. This concert series, with several events throughout the year, complements the main 3 day September Melbourne Guitar Festival. 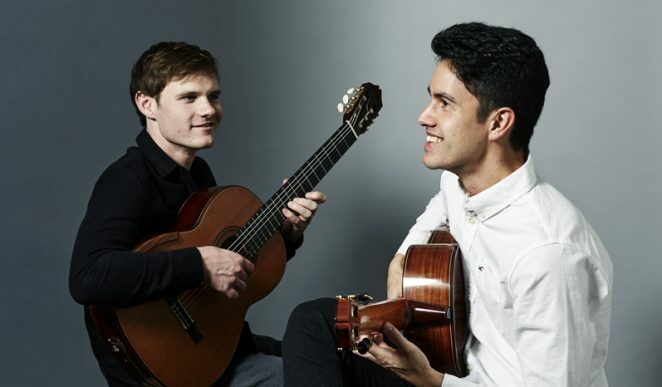 This opening concert entitled “Alchemy”, sees guitar duo Andrew Blanch, (winner of the 2016 Melbourne Guitar Festival Concert Artist Competition) and Ariel Nurhadi take the stage. They have been described as “two stunning young guitarists…virtuosic” (Sydney Arts Guide) and have been praised for their “dazzling guitar playing” (ArtsHub). Alchemy is something of a ‘world-tour’, featuring some of the finest music written/arranged for guitar duet, with masterpieces from France, Germany, Spain, Brazil, Argentina, USA, and Australia, including Houghton’s acclaimed ‘Three Duets’ that encapsulates Alchemy. This concert will be 60mins without intermission. At the conclusion of the concert, everyone is invited to join Andrew and Ariel for refreshments which include complimentary beer, wine and cheese thanks to our good friends at Dainton Beer and Delinquente Wine! There will also be fantastic guitar displays from local guitar makers, with attendees encouraged to have a play of these instruments and have a chat with these extraordinary luthiers. Part of the MGF objectives is to provide world class music which is accessible for everyone, which is why tickets to this event use a “Pay-what-you-like” model. Bookings are essential as these events do sell out. Review: Greg Phillips. Photos: by Jackson/David Jackson. With not a cloud in the sky, The Rochford winery in Victoria’s Yarra Valley is indeed one of our prettiest outdoor venues and this day marked their 69th hosting of an A Day On The Green event. With little preparation time, Stephen Cummings stepped in to fill the day’s opening spot, left void by the cancellation of Died Pretty. 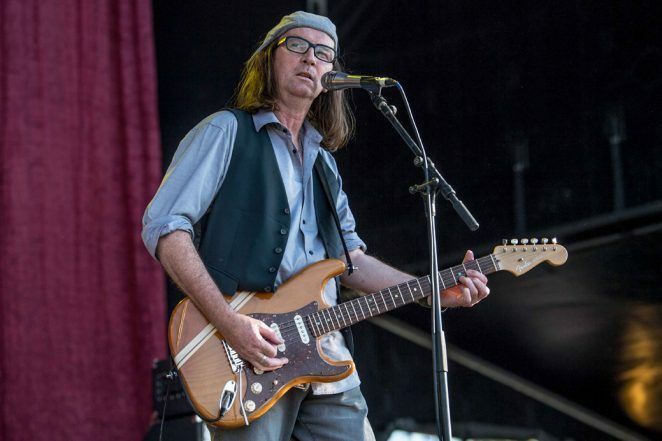 Sadly Died Pretty’s charismatic singer Ron Peno has been diagnosed with oesophegeal cancer and is in need of urgent treatment. We wish Ron well in his recovery. Former frontman of The Sports and successful solo artist in his own right, Stephen has always erred on the eccentric side of personalities and that’s simply born out of shyness, an affliction which has affected his career to varying degrees for decades, as documented quite openly in his 2009 book Will It Be Funny Tomorrow, Billy? : Misadventures in Music. For Cummings, opening an arena-sized gig in bright sunlight may have been a prime opportunity to promote his excellent new album Prisoner of Love but it also magnified his personality quirks, leaving those unfamiliar with his style a little unsure of his offbeat humour. Yet, armed only with guitarist/producer Cam McKenzie and a drum machine, who couldn’t love being reminded of his acclaimed back catalogue with songs such as Don’t Throw Stones, She Set Fire To The House and Who Listens to The Radio. His recently released solo album Prisoner of Love, made in collaboration with The Ferrets’ Billy Miller is a quality work and I’d urge you to check it out, and perhaps also seek out Stephen in a more intimate setting. 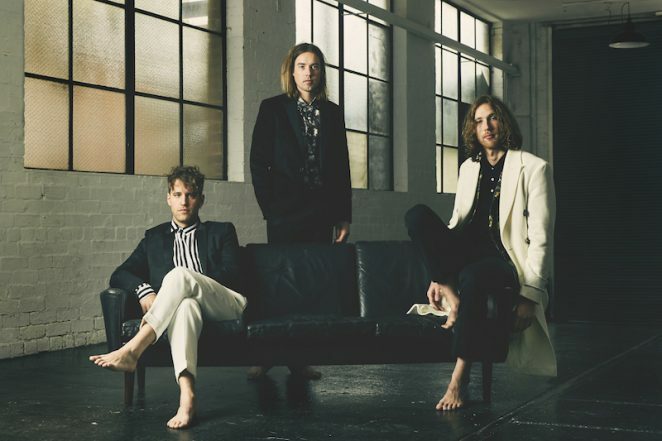 With tongue firmly in cheek Melbourne’s kings of quirk-rock, Models opened their day with Kraftwerk’s The Model, easing into a groove and preparing us for a set full of 80’s alternative rock classics. Models’ aficionados have generally fallen into two camps, fans of their James Freud era pop or pre-Freud era alt-rock. Today the band offered a good spread of both. Energetic versions of Big On Love and Hold On from the more mainstream period of their career flowed from the stage before Unhappy, Local And or General and Two Cabs To The Toucan transported us back to the golden days of the thriving alt rock scene of inner city Melbourne, when venues like The Crystal Ballroom, The Club, Tiger Lounge, Bananas and The Venue ruled. Out Of Mind, Out Of Sight, their ‘MTV’ hit won the masses over followed by a killer version of I Hear Motion. For whatever reason, Models criminally missed out on global success. They well and truly had the songs and chops required to reach a larger audience and judging by today’s performance, they’ve still got what it takes to be a relevant and entertaining act in anyone’s music world. 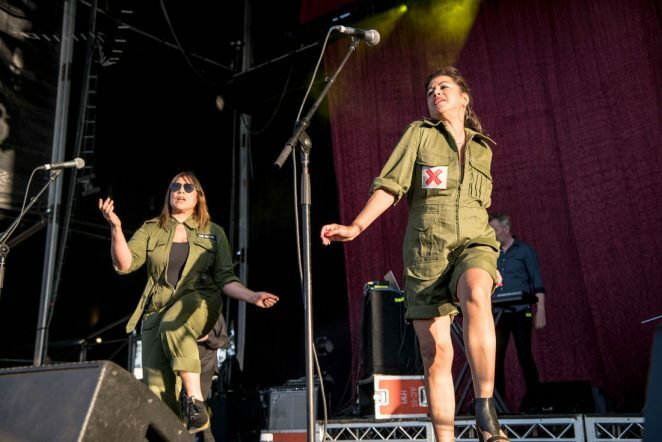 While I’m Talking were never a household name and only ever released one studio album, they are known as the band that launched the career of Kate Ceberano. However, they’ve always been much more than just Kate, equally significant to the band’s allure was and still is co-vocalist Zan Abeyratne. Together with the two pronged, strong female vocal attack, backed by a brilliant rhythm section, I’m Talking are still able to deliver those spirited, infectious beats and had no trouble getting the Rochford crowd to their feet. With catchy tunes such as Holy Word, Lead The Way and Trust Me, the band easily generated pristine sounding dance grooves. As the Rochford sun headed south, a spectacular version of Rose Royce’s Love Don’t Live Here Anymore proved that Ceberano has lost none of her vocal prowess. Taking a well deserved bow, Kate reminded us that I’m Talking were Australia’s first dance band and proclaimed that they’re still pretty damn good. No argument here. 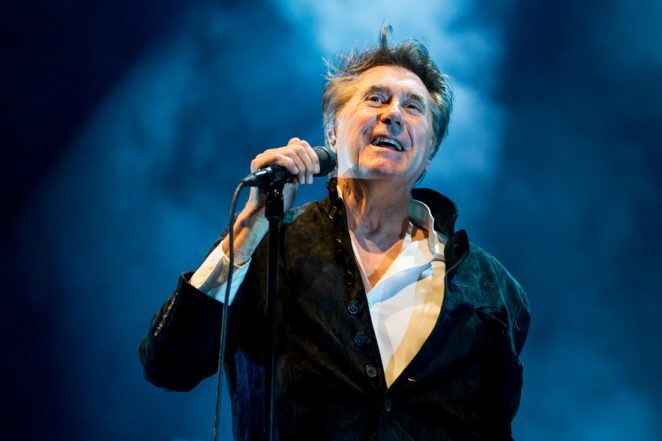 The Main Thing from Roxy Music’s Avalon album was a curious opener from Bryan Ferry, never a hit nor the strongest song off the record. It mattered little as it was followed Slave to Love and Don’t Stop The Dance, two hits from one of his most loved albums Boys and Girls. 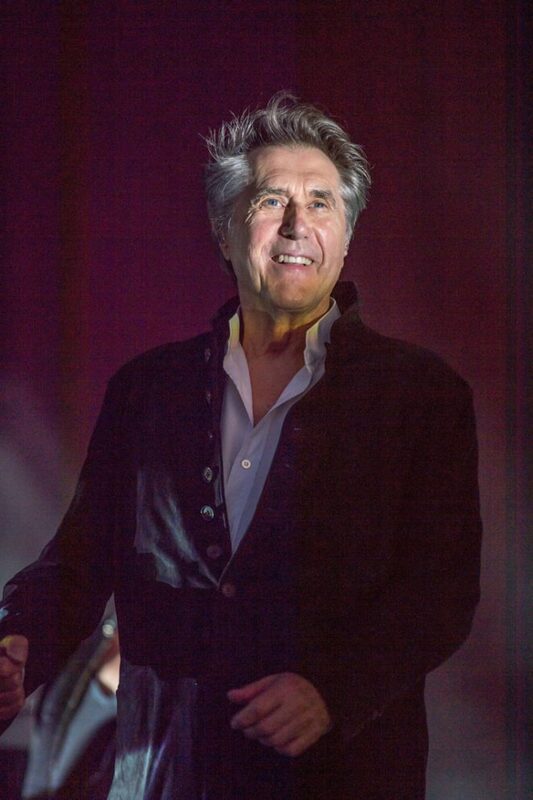 The 73 year old art-rock veteran not only sounded in fine voice but also looked the picture of elegance, surely the most dapper man in rock. A string of Roxy Music songs, Ladytron, Out of the Blue and Oh Yeah, ticked all the right boxes for a large portion of the audience. Ferry’s nine piece band created a mesmerising vibe, with a particularly spellbinding version of Windswept featuring Marina Moore on violin, Jorja Chalmers on sax and keys, with Chris Spedding shredding the distinctive guitar solo, originally recorded by David Gilmour. More Than This and Avalon gave Sydney-based sax player Jorja Chalmers even more time to shine as the show shifted into hit territory. Tonight Ferry was more about mood than movement and it wasn’t until show-enders Love Is The Drug, Virginia Plain and the encore Let’s Stick Together that the crowd really got to rock out. Do The Strand for instance, was sadly missing from the pointy end of the show. Performance-wise the show was grand and graceful but I can’t help but feel that a more dynamic set list may have taken the show’s energy up a notch. Still, the many dancing on the lawn like nobody was watching might argue otherwise. 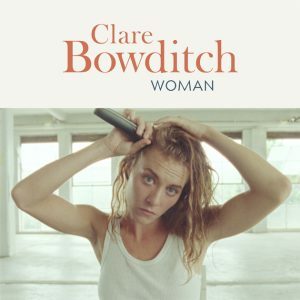 Clare Bowditch today releases ‘Woman’ her first single from her forthcoming solo studio album. To support the release, Clare will also be playing shows in Melbourne, Newcastle and Sydney. Clare promises a rare night of her trademark humour, empathy and beautiful music in a night where you can get to meet the rest of the tribe and come away feeling better than when you walked in. The wonderful Alice Skye will be supporting at all shows except Newcastle. 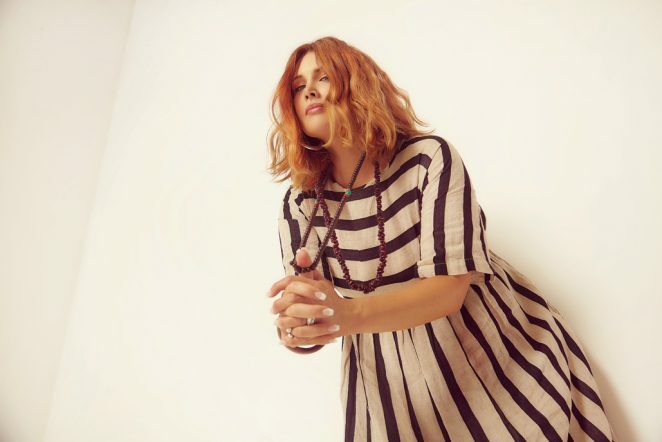 Clare has achieved Top Ten albums, been named Rolling Stone Woman of the Year (Contribution to Culture), Yen Young Woman of the Year (Music), co-written with Gotye, toured with Leonard Cohen, written for Harpers Bazaar and the Drum, and played in every venue in Australia at least two hundred times each. 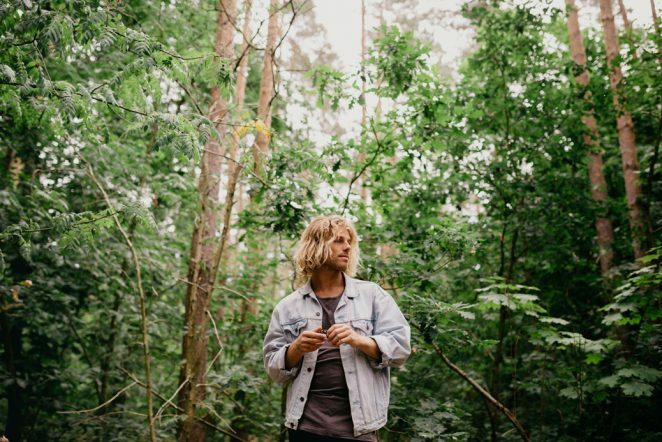 Hot on the heels of unveiling the first taste of his exciting new global multi-EP project with feelgood single ‘After The Sun’, Kim Churchill today unveils the song’s official clip, alongside the release date of the project’s first EP titled ‘I AM’ and a slew of national and international tour dates. Directed by Connor Rancan, the official music video for ‘After The Sun’ was shot in and around Berlin. Armed with a camera, the pair went adventuring throughout the historic city, finding areas including Grunewald Forest, Chemiwerk Rüdersdorf, The Spreepark and Brandenburger Tor, in particular looking for places that were abandoned or re-purposed. “It started out as a way to contrast the natural and the man-made, but as we started searching the city and finding things, we noticed that there were so many wonderful examples of nature jumping into buildings, re-taking over what it originally owned”. Since release, ‘After The Sun’ has been added to triple j rotation and supported strongly via Spotify, Apple Music, Amazon and YouTube Music. It marks the first single to be released from Kim’s unique new project, which will see the celebrated singer-songwriter release four EP’s over time. The EPs were written and recorded in Germany, Canada, Australia and the UK respectively, in collaboration with local artists and producers. To coincide with today’s official ‘After The Sun’ music video release, Kim has also revealed that his first EP – recorded and co-produced by house and hip-hop producer Vincent Kottkamp, with additional production by Chris Collins (Gang of Youths, Middle Kids, Ruby Fields) – will be entitled ‘I AM’ and be released on Friday May 3. Kim has further announced a huge run of global tour dates in celebration of the new EP, taking in Germany, South Africa, The Netherlands, France, UK and wrapping up with a national headline run in his native Australia, with stops in Sydney, Brisbane, Melbourne, Adelaide and Perth. TUE 28 MAY | JAZZ CAFE | LONDON, U.K.